Club Asola is much more than a loyalty program. It is a way of taking our most distinguished clients such as yourself beyond the classic Canali experience through premium benefits and VIP treatment, all designed to offer you a truly unique class of services that is reserved exclusively for club members. The operator of Club Asola is “Canali” whereby Canali is meant any company of the Canali Group, and members of the club will heretofore be referred to as ''Member''. Every one thousand (1000) Euro spent at a participating Canali boutique (see Appendix 1 for a full list) and online at Canali.com is equivalent to one (1) point. For clients who have made purchases in currencies other than the Euro, an average annual conversion rate (see Appendix 2) will be used. - Clients who have accumulated 15 points or more in the span of one year are eligible for membership in Club Asola Argento. - Clients who have accumulated 30 points or more in the span of one year are eligible for membership in Club Asola Oro. Points are accumulated on a rolling basis and first-time membership can be obtained at any point during the year. Only consumers, whereby Consumers’‘ is meant any physical person, who has given the consent to the use of personal data for marketing and profiling purposes, are eligible. Only persons of age who are not subject to any legal incapacity are eligible. 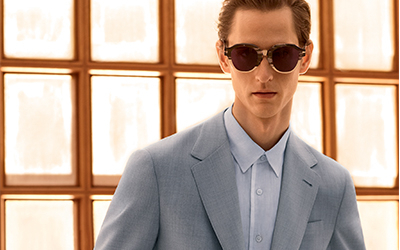 Once eligibility has been verified by Canali, the client will be informed by Canali either in person, via e-mail or telephone and asked to read and accept these Terms & Conditions. Club Asola membership officially commences the first month after the client’s points and membership status have been verified. In case of non-acceptance within 30 days from the contact date, the client will no longer be eligible to participate in the Club Asola Program. Canali will create an email account for each member of Club Asola on the website www.canali.com to provide access to member services. The client will receive an email with the necessary account login information and he or she should complete the registration process by inserting his or her username and password. The assigned data is personal and cannot be used by any individual other than the designated member in order to access Club Asola services. The client must not register an account for the purpose of abusing the functionality of the website. When registering, the client must provide verification information that is accurate, current, and complete. The client is the only individual responsible for the storage, confidentiality and use of his or her username and password; therefore, he or she remains the only person responsible for any and all proper or improper uses of said data. Members will receive a Club Asola Welcome Kit with a personalized card that is intended for the sole use of the Member. Points and Membership are non-transferable. Membership is valid for one year (which will hereby be referred to as ‘‘Membership Year’‘) from the date of program activation unless upgraded (see point 1.4). Points are earned on purchases, including Made-to-Measure orders and alterations, at any participating Canali boutique (see Appendix 1) and online at Canali.com, net of any returns made during the relative period. Points are calculated monthly and on a rolling basis, meaning that at any given moment, the total number of Members’ points refers to the previous 12-month period up to that date. Membership is valid for one year, even if the Member does not make any purchase during the Membership Year. At the end of the Membership Year, Club Asola Argento membership will automatically be renewed if the Member has accumulated at least 15 points during the Membership Year. The Argento Members that reach 30 points during the Membership Year will automatically be upgraded to Oro status and their Club Asola Oro Membership will have a validity of one year starting from the moment of the upgrade. This means that from the day of the upgrade a new Membership Year begins. The Argento Members that do not accumulate 15 points during the Membership Year will no longer be eligible for Club Asola the following year. Membership is valid for one year even if the client does not make any purchases during the Membership Year. At the end of the Membership Year, Club Asola Oro membership will automatically be renewed if the Member has accumulated 30 points or more during the Membership Year. Oro Members who have not accumulated 30 points during the Membership Year will automatically receive Argento status for the following year. Membership in Club Asola allows the Members a series of benefits that vary from Oro to Argento. All of these benefits are complimentary and are valid only during the Membership Year. Canali will supply the Benefits to Members to the best of its ability but does not guarantee benefit availability. If the Benefit is unavailable, Canali can propose any other benefit to the Member, whether it is equivalent or not. Initial embroidery on dress shirts. Priority 24 hour basic alterations (pant hems, sleeve adjustments, buttonholes and buttons). Free Delivery & Courier services, only in the countries on the list in Appendix 3 and excluded import duties. Reconditioning and laundry service for the suits/jackets/coats purchased during the year prior to the membership start date. Father-to-Son MTM – your son’s first Su Misura garment is complimentary. A seasonal selection of MTM fabrics available exclusively to you. Private appointments with a personal shopper at your home or office. After-hours shopping at our boutiques. Access to a selection of products that have been created exclusively for Oro members. The Member may properly terminate the contractual relationship in writing at any time without notice. If the Member at any point decides to revoke consent to the use of his personal details for marketing or profiling purposes or does not accept these Terms & Conditions anymore, he will automatically be deemed ineligible to participate in the Club Asola program and therefore excluded from it. Canali may also terminate Membership if the Member is in violation of these Terms & Conditions and reserves the right to bring, if necessary, appropriate legal proceedings against the Member. Canali reserves the right to discontinue Club Asola at any time and to properly terminate the membership contracts. The same applies in the event that Club Asola is replaced by another program. To the maximum extent permitted by law, with the exception of fraud or gross negligence, Canali denies any liability for any damage, including direct, indirect, incidental and consequential damages arising out of or connected to the Club Asola Program. Canali can never be held liable for any loss arising out of or resulting from the Benefits supplied or, more in general, in any case connected to the Club Asola Program. Canali can never be held liable for any losses resulting from modifications to these Terms & Conditions or from the cancellation of the Program. If Canali wrongly refused a benefit to a Member, said Member would only be entitled to claim the Benefit. Members’ personal data (in particular: first name, last name, address, email address, phone number) will be processed by Canali SpA, Via Lombardia 17/19, Sovico (Italy), in compliance with the current Data Protection Law, for the purpose of managing the Club Asola Program, as per the already expressed consent to the use of personal data for marketing and profiling purposes. Members can exercise their rights according to the current Data Protection Law by writing an email to privacy@canali.it. An integral copy of the Data Protection Information Notice is available here. .
Members’ consent confirmation to Data Protection Information Notice, allows Canali to continue processing their data for purposes therein specified particularly for managing the Club Asola Program. Loss, theft of, or damage to the Club Asola membership card must be reported to Canali immediately at the following e-mail address: clubasola@canali.it. This will allow for the issuance of a new card, which will contain the same points contained in the previous card. In any case, Canali can never be held liable for any loss arising out of or resulting from or, more in general, in any case connected to the loss, theft or damage of the card. Canali reserves the right to make at any time any changes and / or additions to these Terms & Conditions and / or to the methods for the accrual of the points, to the Benefits and / or, more in general, to the Club Asola Program and / or to cancel the Club Asola Program. Changes and / or additions to these Terms & Conditions will be sent by email or in any case personally communicated to the Members. This agreement shall be governed by Italian law and the Parties hereby submit to the exclusive jurisdiction of the Court of Milan. Shop L220, 2/F,, Deji Plaza, No.18 ZhongShan Road , XuanWu District , Nanjing.